Siemens Star Comparison of Z1U and A1U | Flickr - Photo Sharing! An enlargement of this area is available. 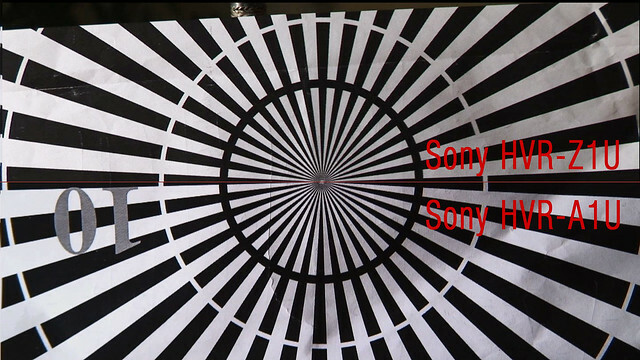 Comparison of Sony HVR-Z1U (top half) 3-CCD 1/3" chip HDV camcorder and HVR-A1U 1-CMOS 1/3" chip HDV camcorder (bottom half) , I've written about the HVR-A1U camera and how it compares to the Sony HVR-Z1U.